There are instances when we need to summarize data and present them briefly for easy interpretation and understanding. Just like in an organization, an organizational flow chart is important so that the viewers can easily know not only the hierarchy of the positions in the organization but also the flow in which the authority will pass through. Organizational charts would also clearly explain the relationship between the member in an organization. When you are among the members, you can also immediately identify who your immediate heads and superiors are. You will know whom to approach when you need something, and you know where to go when you are dealing with the different concerns in the organization such as operation, management, human resource, and financial matters. Below are comprehensive examples of organizational flow charts that you can use when you want to create one. It can be used to define the responsibilities as well as the positions within a unit, a department, or a whole organization. You may also see marketing flow chart examples. It serves to visualize the structure of the workforce. It can be used to establish a structure of authority, communication channels, and specific operational functions and tasks. It is used to establish decision-making processes and other specific operational functions in an organization. 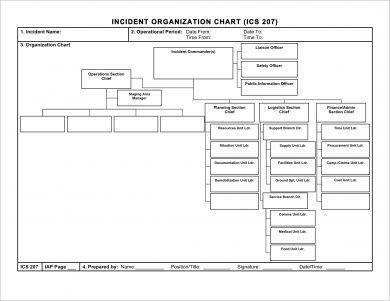 It is a graphic representation of a unit’s formal structure which provides a clear picture of the area of responsibility and relationships within a certain department. It can be used in many processes related to human resources especially in making decisions including but not limited to the following: recruitment, classification, restructuring, and training. You may also like project flow chart examples. What Should Be Included in an Organizational Chart? 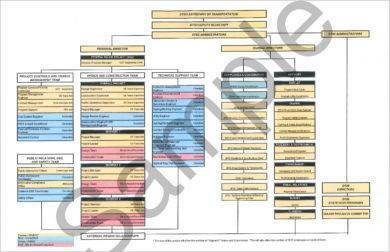 In your organizational chart, you must provide a complete information needed for the understandability of such chart. You must also see to it that there are no misleading as well as incorrect information. An organizational chart with errors can surely affect the integrity and credibility of the organization. You may also see flow chart examples. Incorrect information may also lead to incorrect process or flow. 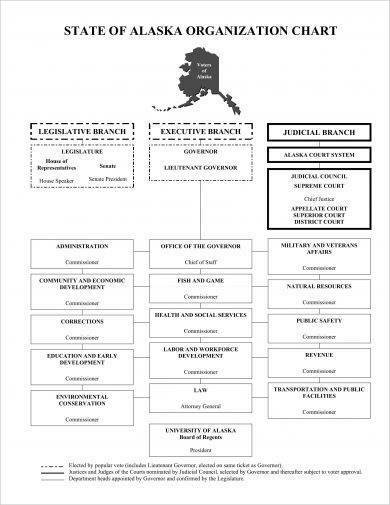 This is the reason why the organizational chart must be presented with precision and completeness. 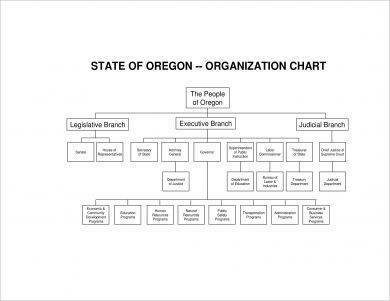 Here are the important information that must be present in an organizational chart. Check whether you have included them in your own organizational chart. 1. Organization or department unit name. 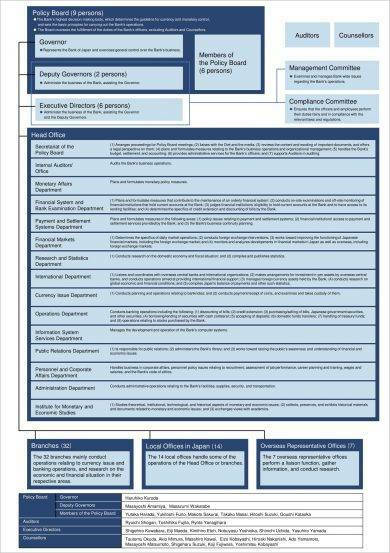 In your simple organizational chart, you must specify the department that is the focus of your chart. Meanwhile, for small companies, they do not need separate organizational chart as all the members can already fit a whole page. But for large companies, they must have an organizational chart by unit so that there will be no overcrowding of the main organizational chart for the whole company. 2. Revision date. Keep your organizational chart updated, and the revision must be stated in your organizational chart. 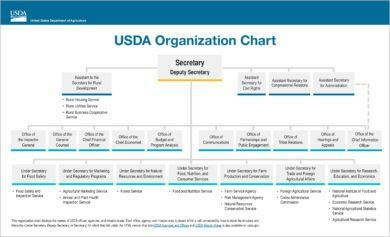 For large entities, constant movement and changes in the organizational chart are expected; hence, the revision date must be clearly indicated so that the reader will have an idea on how new or old the organizational chart is, while in small entities, they might only change their organizational chart annually. You may also like management flow chart examples. But no matter how large or small your company is, just make sure that you include revision date in your organizational chart for readers’ reference. 3. Working title, job title, or position title. The different positions or titles must be clearly specified in the organizational chart so that one can identity their roles in the organizations. This will also serve as a reference for some employees who might want to approach a certain person in charge in some areas in the organization. You may also check out business flow chart examples. 4. Current incumbent name or indication of vacancy. If the position is occupied, it is fitting that you state the name of the person occupying such space. On the other hand, if there are any vacancies, you must also state that so that any interested applicant may apply for that vacant position. You might be interested in flowchart examples for students. 5. Position number. This item might not be included for some organization, but for most large organization, they will include the position number in the organizational chart. Sometimes, this can be an ID number or the employee number. There are also cases in which the ID number will include letters that will determine the batch for which a certain employee is hired. You may also see sales flow chart examples. There are may other content that can be included in an organizational chart depending on the structure of the organization. You can include other important elements in your chart, but the above are the most typical ones that must be present in an organizational chart. 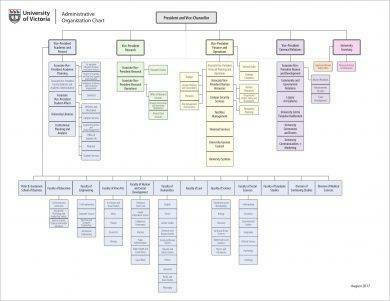 A line organizational structure is comprised of having only a direct or vertical relationship with each levels of the organization, which are common for small organizations. They aim of accomplishing a certain professional goal of the organization. It has flexibility in work. It simplifies the relationship of the different levels in the organization. Decision-making can be a lot easier and simplified. The key personnel or the managers must have sufficient and in-depth knowledge about everything for the employees will be dependent on them. The structure may become unproductive as days go by. For staff organizational structure, this is an organizational structure in which the employees in the lowest line of structure have to follow orders from the higher management. The staff managers and the line supervisors take decisions from their level of management; hence, there might be a conflict between the two management structures. You may also see nursing flowchart examples. It is said to have the most knowledgeable and best decision-making managers and supervisors who can help the organization to achieve its goals. The managers and supervisors possess direct authoritative power, letting them make decisions fast. A conflict may arise while making the decisions into work due to extensive power in each higher level managers and supervisors. This organizational structure comprises of line and staff organizational structure which are commonly used in large entities. There is a direct management structure relationship, and there are no barriers between the communications. 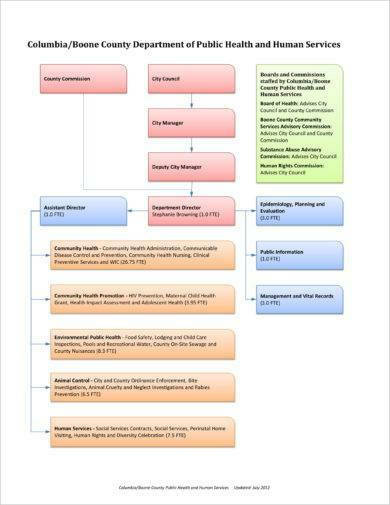 You may also like recruitment flow chart examples. There are no barriers in between the communication in the management levels, providing the communication to be smooth and direct. The work structure is more flexible since there are no barriers in communication. It is typical that the experience as well as knowledge are prized in this type of organizational structure. The coordination may disrupt between line and staff managers leading to conflicts due to smooth relationship between the line and staff managers. For divisional structure, this is an organizational structure where the management works in the form of separate departments. It is scattered based on the geographic location or the types of products. You may also check out event flow chart examples. In this type of organizational structure, the experienced team members work together to take decisions regarding the organization, and it flows from all four directions which may be upward, downward, horizontally, and vertically. You might be interested in workflow chart examples. Because it is based on a single project, it is unique and it does not repeat itself. The work is completed in a disciplined way and there is a greater chance of achieving quickly the specific goal. When higher authorities work together, there is a tendency that more conflicts arise, slowing the pace of the work. There might be informal relationships that occur between the different management levels in one organization. Similar to project organizational structure, this organizational structure is also composed of a team of expert and experienced individuals from the different levels of management. You may also see flowchart examples for beginners. Experts monitor the tasks, so there is less time needed in making changes. There is a flexibility in the use of the resources in an organization. Conflicts may arise due to a huge number of expert management heads. High costs may be incurred for administration. This organizational structure is comprised of each of the structures previously mentioned. This is commonly used in large multinational companies because it usually has a huge number of employees. You may also like chart examples in PDF. As there are divisions and different departments, they run in a smooth and flexible manner. The goal is achieved in a competent and experienced manner. Conflicts may arise between the different department heads as many people have been given the right of authority. Creating an organization flow chart may require precision and completeness, but it is not as hard as you think. With the complete and up-to-date information and proper analysis of the structure of the organization, one can easily create an organizational flow chart. You can keep in mind the following principles in creating your own organizational flow chart. One thing that your general organizational chart must possess is that it must stay organized so it would be a help to everyone who reads your organizational chart. To be more clear and presentable, your boxes must be the same size and the spaces between must be equal and consistent. If possible, keep the chart in one page. If you have a large organization, you can separate the departments in different sheets. Especially when you are a large company or organization, you must keep your organizational chart updated. If possible, you must update your organization chart every month since it is expected that there is a fast movement in the population and position in your organization. 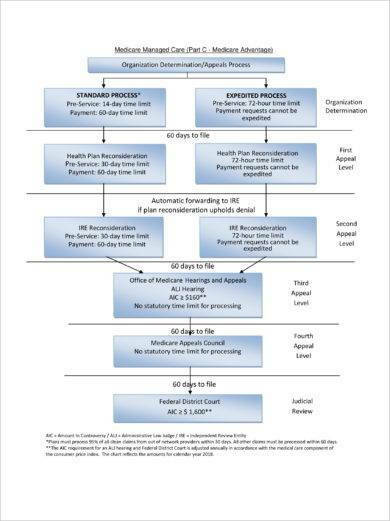 You may also see process flow chart examples. 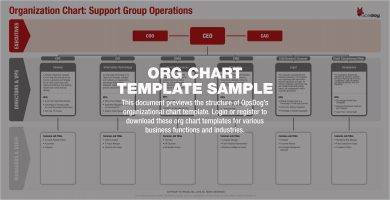 You can create a digital version of your organizational chart for easy access by the different levels of your organization and for an easy update. You can create a central location where everyone has an access to it, but only you can modify such file, for if you send an email containing the organizational chart, it can easily go out of date. It is better that you keep it in a central location so that you can constantly update it whenever possible and no one can tamper the information that you input in the chart. Make sure to track your changes for future references. You may also like Gantt chart templates & examples. Now that you have already enough knowledge with regard to creating an organizational flow chart, it is expected that you are now ready to create your own organized and systematized organizational flow chart. You can always refer to the examples presented in the previous whenever you need some reference for your work. You may also check out reward chart examples.